The Government’s infrastructure spend is good for business. Photo: Capital Metro. 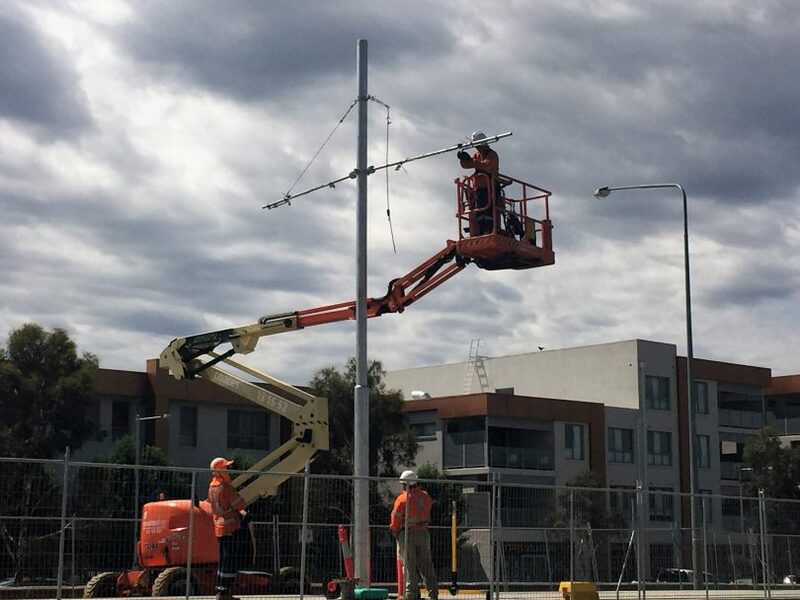 The light rail project and associated urban renewal program appears to be having the desired effect on the ACT economy with the Territory’s small and medium businesses (SMB) now the most confident in the country, and throwing their support behind the Government. The latest Sensis Business Index (SBI) survey says SMB confidence in the ACT rose two points last quarter to +54, the equal highest in the country with Tasmania. The ACT Government also enjoyed the biggest increase in SMB support – up 21 points to +9. Sensis says higher sales are driving the ACT’s healthy business confidence. In the past 12 months, business confidence in the ACT has ebbed and flowed – from a record high of +64 in March 2017 to +54 in March 2018. Sensis CEO John Allan said support for the policies of the ACT Government had shown a volatile pattern during the past two years. “We’ve now seen a substantial 21-point rise in support from SMBs which is a positive sign. SMBs cite infrastructure development and perceptions that the Government is supportive as having a positive influence on their opinion,” he said. Thirty per cent of SMBs in the ACT think the economy is growing versus 10 per cent who think the economy is slowing, a net balance of +20 which is up nine points and just above the national average of +17. The previous quarter, key indicator balances were higher for wages but lower for sales, employment, prices and profitability. The employment balance was neutral while positive balances were recorded for the other four indicators. But for the March quarter, expectations are above average on all five key indicators, with the ACT leading Australia for sales, employment, wages and profitability. Nationally, business confidence is strong, with healthy sales playing a key role. SMB confidence remains the same as the December quarter with a net balance of +42 – equal third highest since March 2011. Economic optimism sees 27 per cent of SMBs believing the economy will be better off in 12 months, compared with 15 per cent of businesses that believe the economy will worsen. Perceptions of the current health of the economy rose three points to +17. This is the highest score since December 2010 when it was +23. The proportion of SMBs that think the economy is slowing fell from 15 per cent to 13 per cent, while the proportion that thinks it’s growing rose from 29 per cent to 30 per cent. Nationally, metropolitan SMBs are more positive than their regional counterparts about the economy now and in 12 months’ time. Metro businesses remain more confident by 13 points (+47 versus +34) and this confidence remains among some of the highest levels seen since March 2010. Regional confidence has seen a slow but steady fall since 2016. Confidence rose in six of the 10 industries, with Communication, Property and Business Services taking the lead – up two points to +56. Manufacturing rose 20 points to +55 – the highest Manufacturing result recorded by the Index since 2008.